Morey St Denis En La Rue De Vergy - 2013 - Bruno Clair. 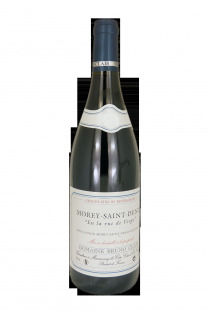 In the village of Morey-Saint-Denis , there are fabulous first red and white wines and five grands crus wines: clos-saint-denis , bonne-mare, clos-de-tart, clos-de-lambrays and clos-de-la-roche . Morey-Saint-Denis is clearly one of the smallest appellations of the Côte de Nuits. With only a little over 100 ha. The vine-growers present to the public the Morey-Saint-Denis , and only these, on the Friday preceding the sale of the Hospices de Nuits. A whole tradition. . . 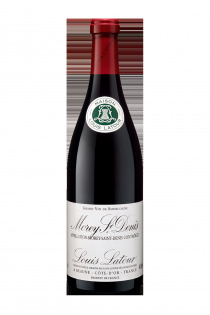 The appellation is located between Gevrey Chambertin and Chambolle , and it could be said that these wines are produced on 53 ha in communal and 42 ha in the first cru are, with their specific character, intermediate between the structured sides of the first and the whole Finesse of the second. A name still unknown, it deserves to be discovered!